In the Entered Apprentice degree, the new Masonic initiate is taught about Jacob’s Ladder and how it applies to Masonic symbolism. Of course, in Masonic symbolism, three of the rungs on Jacob’s Ladder represent faith, hope, and charity. 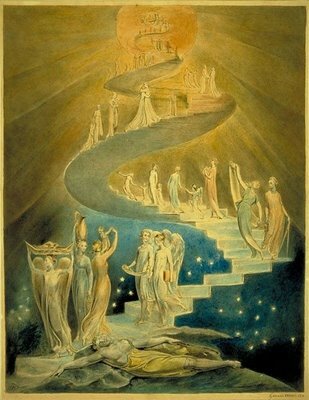 The story of Jacob’s Ladder and its symbolism is beautiful and a wonderful example of God’s relationship with mankind. However, for many years I have struggled with the fact that Jacob received this vision—and God’s favor—immediately after deceiving his father Isaac and taking his brother Esau’s blessing. How could God let such a sin be committed without any negative reaction? When examining the whole story of Jacob we discover that Jacob’s biography is a great example of religious universality. Just as Jacob’s ladder is a story which appeals to many outside of the Jewish faith, Jacob’s betrayal of his brother and father is atoned for by a principle from the East when he becomes a victim of Karma. Does the Buddhist idea of Karma exist in Christianity? 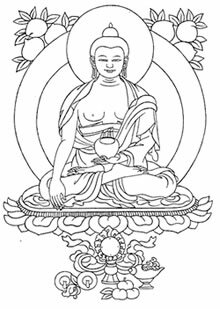 Karma is the Buddhist ideal that for every action there is an equal and just reaction. It is the age old principle of cause and effect. Give charity to your brother and in turn you will be given charity when you need it. Wrong your brother and you too will be wronged. It is the Golden Rule: do unto others as you wish they should do unto you. People often visualize Karma as being cosmic, but not necessarily the direct justice of the Almighty. However, when God hands out punishment in the Old Testament, this is in fact a version of Karma. But the story of Jacob is different from most in the Old Testament because no where in the scripture does the author clearly state that God was displeased with his dishonesty. This is where Jacob becomes a perfect example of the cosmic force of Karma. In the 27th chapter of Genesis, Rebekah helps Jacob deceive his blind father Isaac in order to obtain a blessing meant for Esau. While Esau is out hunting for game in order to cook a meal for his father, Rebekah and Jacob prepare a meal and Jacob takes it to his father, lying when his father asks him if he is Esau by saying “I am.” Of course, Jacob wrongly receives the blessing and when Isaac realizes that he has been deceived he does nothing to correct the error. Later, Jacob has the famous vision of the ladder extending from the earth to heaven where God promises him that his descendants will be as the dust on the earth. How could God remain silent about this injustice? In Genesis 29, Jacob once again seems to find favor in the eyes of the Lord. Jacob goes to work for a man named Laban and falls in love with Rachel, his youngest daughter. Jacob is so enamored with Rachel that when Laban asks him what he deserves in return for his work Jacob agrees to work for seven years in order to marry Rachel. Laban agrees to this and after seven years Jacob asks him for his daughters hand. However, when the long awaited night comes for Jacob to lay with Rachel, Laban deceives him and sends his oldest daughter Leah to Jacob’s bed. When Jacob awakes the next morning he is incensed at the fact that he has been betrayed. Laban simply states that the oldest daughter should be married first and that Jacob will have to work for seven more years in order to marry Rachel. This is the perfect cosmic justice for Jacob. Not only is he forced to work seven more years to earn what he wants—essentially a seven year sentence for the betrayal of his brother—he is the victim of a similar birthright situation. Its irony is nearly comedic. We indeed discover that Karma is always at work. This story shows the true universality of many religious concepts. While Karma may be Buddhist in its origins, we see that it plays a great role in the Old Testament. It also is alluded to throughout the world’s many great religions and one may astutely note that it also has a role in Masonry when one considers the purpose of acting upon the square. Jacob’s story is an excellent example which reminds us that Karma can affect everyone and that no matter what creed we may follow, we share the same values. Shivananda in his ESSENCE OF YOGA states that Karma is selfless service unto humanity. Do actions as your duty and offer them and their fruits to the Lord, you wll be freed from ther bonds of Karma. He who understands the right significance of Karma will take every work as activity or worship to the Lord. The other side of this is that Esau is an idolater, disrespectful of his father and the covenant and generally depicted as being unworthy of the covenant. He receives a blessing from his father, but one commiserate with the life he leads. The Zohar sees both sides of the issue and asks how Jacob can be worthy, just as you have, and treats the subject in depth, frequently relating the topic to Jacob’s nature as a representative of Tiferet (as his father was of Gevurah and his grandfather Chesed). Karma is not about punishment, although most people in the west exposed to it tend to interpret it in terms which are rather patently “Old Testament.” Karma is about learning to understand the impact of your actions. To understand the affect of your actions upon others and to feel compassion toward those whom you may have harmed is far different from being punished. The difference in interpretation is the same as the difference between the angry reaction of a child when it is reprimanded and the intent of the parent to teach a child proper behavior. It is a level of maturity. It may be argued that Buddhist philosophy represents a more mature understanding of the laws of nature. I agree because in my life i have wittness something that i have done an it does come back around, treat all people in a good way you will be bless in all areas of your life things have change in my life when inproving this Karma in me, Always Moving Forward God Bless All. I learn so much from this site. Karma, the central theme in Hindu scriptures and teachings is always linked to the actions and results which one experiences. The effects are said to last over many births but nevertheless good will be returned with good eventually. Even Gods are, many times in many stories,left inert when they watch their loved worshipers suffer due to their Karmic actions. the budist philosophy is a perfect study of the rules of nature. Karma is a universalise word, on the other hand john locke categorical imperative seems more like the budist philosophy. Thanks to this site am in love with it.